When Lew Hayman and Leo Dandurand were rebuilding the Montreal franchise, Herb Trawick was one of the first imports selected for the new “Alouettes”. He played magnificently for 12 seasons and was an outstanding citizen who was known for his work with charitable organizations. Herb Trawick was amazingly quick for a big man, and although Offensive Linemen usually remain fairly anonymous, he was well-known for his great speed. Trawick’s selection to the 1955 All-Star team made him the first player to be chosen for the Eastern team seven times. 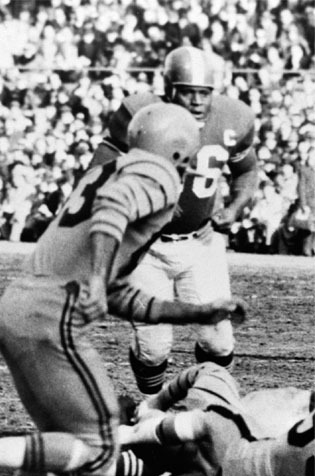 Herb Trawick is one of the few linemen to score a touchdown in Grey Cup competition, when he scored in the 1949 Grey Cup.